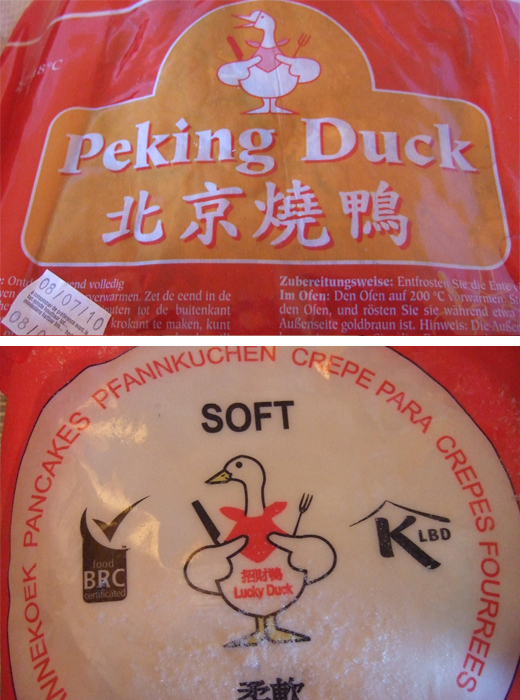 A week ago we got some Peking duck supplies at a local Asian supermarket. 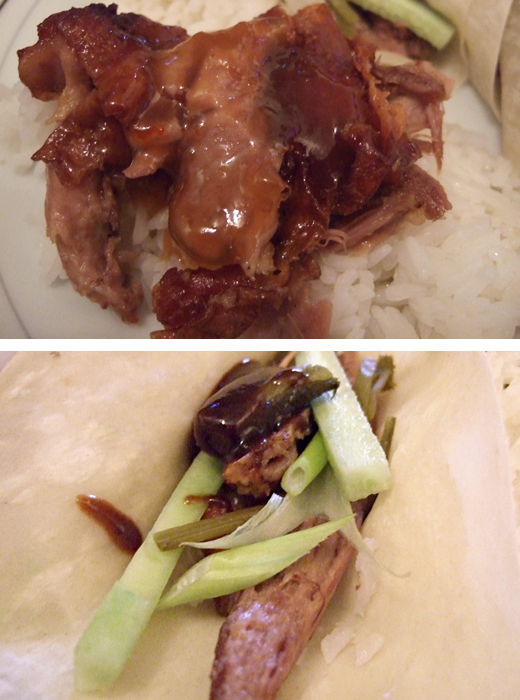 Boneless pre-prepped Peking duck, pancakes and hoisin sauce. You defrost the duck, place the halves skinside up in a tray and bake for half an hour to 45 minutes. Steam the pancakes, slice a spring onion and cucumber into strips and you’re done. I had this with some steamed rice. Top the pancakes with strips of duck, spring onion, cucumber and a bit of hoisin sauce. I added a bit more duck on top of my rice with some plum sauce.